Do you crave an adrenaline rush when you are on the ski hill? Maybe you want to learn a few tricks on the terrain park? 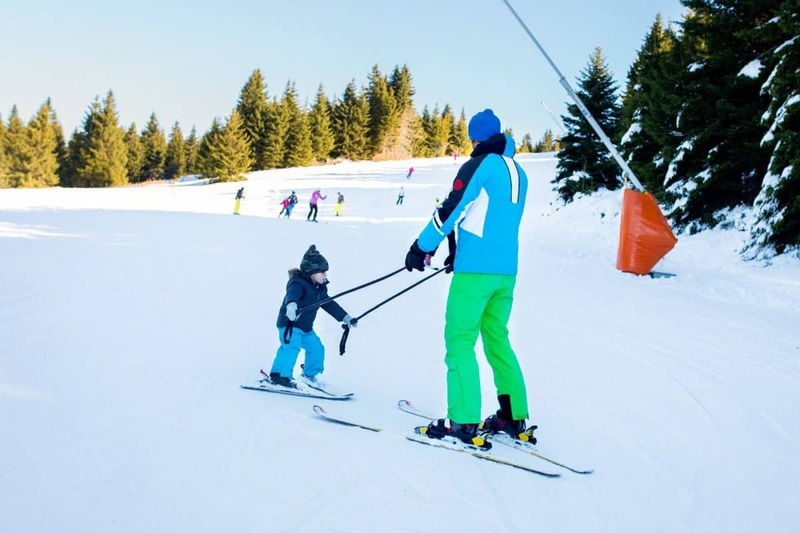 Perhaps you simply want to teach your children how to ski? 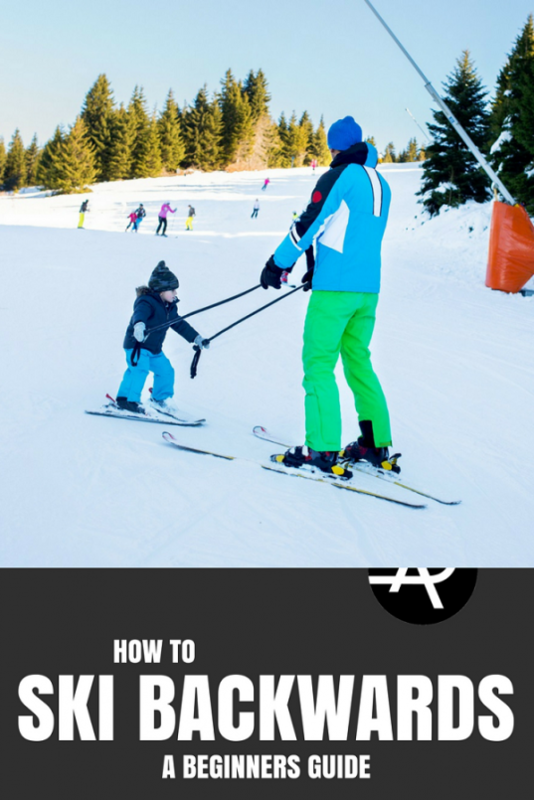 To do all these things, it is essential to learn how to ski backwards. While learning this requirement may be daunting for many skiers, this skill can open many new doors on the slopes. Here at The Adventure Junkies, we’ll to teach you everything you need to know to learn how to ski backwards. 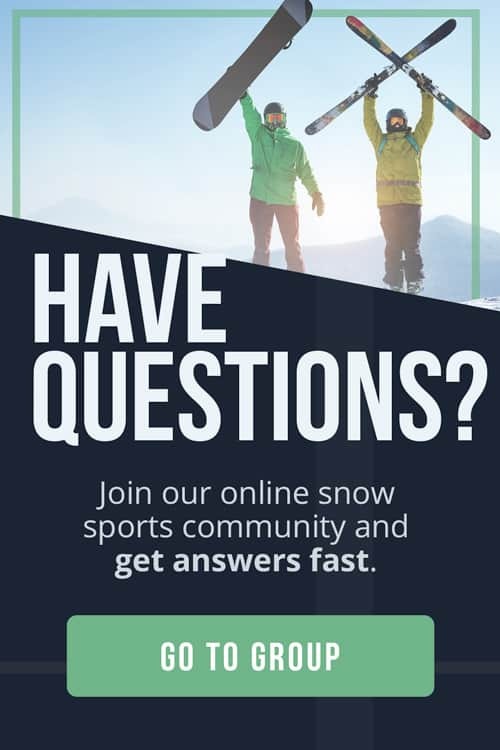 In addition to step-by-step instructions, we’ll also touch on some safety tips, what gear you’ll need, common mistakes and a few tricks you can show off while skiing backwards. So, let’s get started! Your knees should be shoulder width apart and centered on your skis. Your hands should be out in front of you. You should also keep your chest up and resist the temptation to fold at the waist. 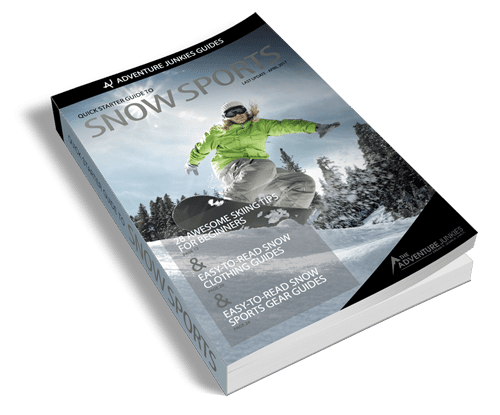 As you begin to slide backwards on your skis, scissor your legs a little so that one ski is further backwards than the other ski. If your right ski falls back, you should then rotate your shoulders and hips so that you are looking over your right shoulder. By doing this, you will carve towards the left. Next, let your left ski fall back while you rotate your shoulders and hips over your left shoulder. Doing this will let you carve towards the right. If you turn your body fully instead of merely glancing over your shoulder, you will be able to see more of what is going on behind you when you are skiing backwards. It is important not to look straight back up the hill because then you will have no idea where you are going and could easily run into a downhill skier or an obstacle. This could even cause serious injury to you or someone else. When most people are first learning how to ski backwards, they will want to control their speed by doing a backwards “pizza” maneuver. This technique is pretty similar to how they learned to slow down when skiing forward. While this maneuver works, it really isn’t the proper way to control your speed. The best way to control your speed when skiing backwards is to carve deeply in one direction. For instance, it would be advisable to let your right ski fall back while looking over your right shoulder. Your skis will eventually carve around far enough that you will be skiing up the mountain, thereby controlling your speed. 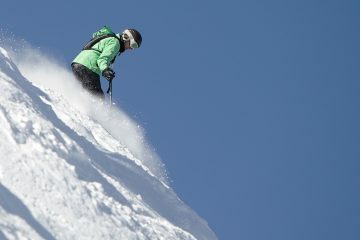 Most people find that with practice, skiing backwards can be one of the most fun activities on the mountain. In time, it can even become second nature to any skier. When you first learn how to ski backwards, you should master the skill on a gentle slope where you can easily control your speed. As you progress to steeper slopes, you can begin to add terrain park features. 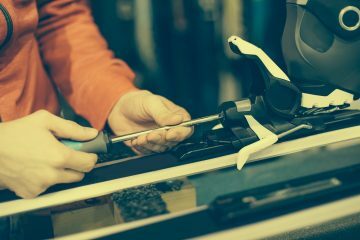 Most skiers prefer to either carve right or left when they learn how to ski backwards. Usually, that is because it is more comfortable to rotate your body to one side than to the other side. However, it is important to resist the urge to only look over your right or left shoulder. Over time, it will limit your muscles and make it even harder to break the habit. While it is important to rotate your hips and shoulders so that you can see where you are going, turning too far can cause issues as well. If you are learning how to ski backwards to do tricks on the jumps and rails at the terrain park, it’s important to keep your hands in front and not tucked behind you. You can use your arms for momentum by keeping your hands in front of you when it is time to hit a jump especially if you plan to twist around from skiing backward to skiing forwards or vice versa. If they are too far behind you, then there will be too much arm movement before you do your trick. When you are starting to learn how to ski backwards, it is essential that you begin on either a bunny hill or a non-crowded, groomer-type run. Follow the rules of the slopes, yield to the downhill skier and always be aware of those around you. Through this tutorial, you will learn how to turn your body so that you have the most visibility of the slope in front of you. While some may argue that any knowledgeable skier can learn how to ski backwards without any specific gear, most will disagree. Generally, a ski helmet is recommended. Although a helmet is always a good idea when learning a new skill or when skiing in the terrain park, it is especially crucial to prevent trauma to the head. In addition to the helmet, most skiers will recommend twin-tip skis. These are rounded and tip up at both ends, which prevent the tail of the skis from getting caught in the snow when the skier is skiing backwards. Skiers find these easier to maneuver in the terrain park and can generally be used all over the mountain, as well. Dee is a freelance writer and an outdoors enthusiast. She is an avid skier but can also be found on the mountain trails during the summer, hiking, backpacking, mountain biking, and trail running. Living in Colorado allows her to follow her dreams—skiing every chance she gets—with her two adventuresome children, her husband, and her spirited Weimaraner.